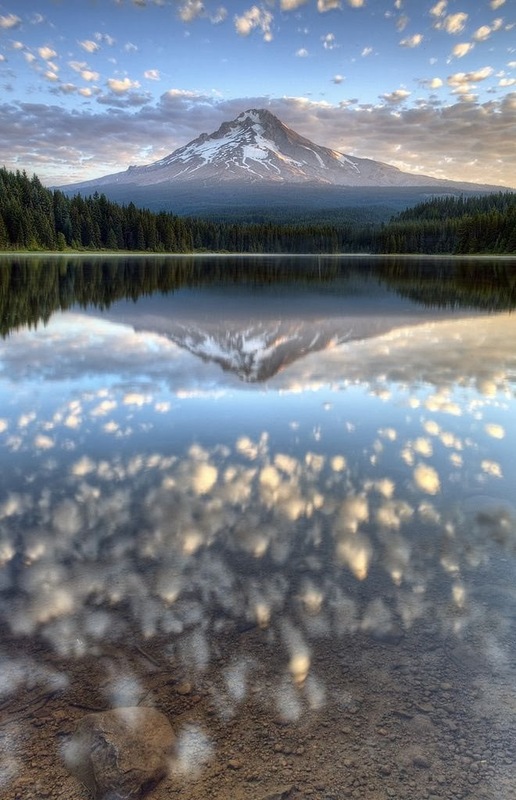 Mount Hood, called Wy'east by the Multnomah tribe, is a stratovolcano in the Cascade Volcanic Arc of northern Oregon. It was formed by a subduction zone on the Pacific coast and rests in the Pacific Northwest region of the United States. It is located about 50 miles (80 km) east-southeast of Portland, on the border between Clackamas and Hood River counties. In addition to being Oregon's highest mountain, it is one of the loftiest mountains in the nation based on its prominence. The height assigned to Mount Hood's snow-covered peak has varied over its history. Modern sources point to three different heights: 11,249 feet (3,429 m), a 1991 measurement by the U.S. National Geodetic Survey (NGS), 11,240 feet (3,426 m) based on a 1993 scientific expedition, and 11,239 feet (3,426 m) of slightly older origin. The peak is home to 12 named glaciers and snowfields. It is the highest point in Oregon and the fourth highest in the Cascade Range. Mount Hood is considered the Oregon volcano most likely to erupt, though based on its history, an explosive eruption is unlikely. Still, the odds of an eruption in the next 30 years are estimated at between 3 and 7 percent, so the U.S. Geological Survey (USGS) characterizes it as "potentially active", but the mountain is informally considered dormant.